Almost a year after the app's initial release, Google updated Allo to work with a desktop client earlier this month. Like WhatsApp, the desktop app runs in your browser, and uses your phone as a proxy to send/receive messages. But for some strange reason, the app is currently limited to Chrome users. If you don't use Chrome, or simply don't want to keep an Allo tab open 24/7, this unofficial web wrapper might be for you. The wrapper was compiled by Kelvin Nguyen on GitHub, using the Nativfier web wrapper compiler. As you might expect, it uses Electron to render everything. 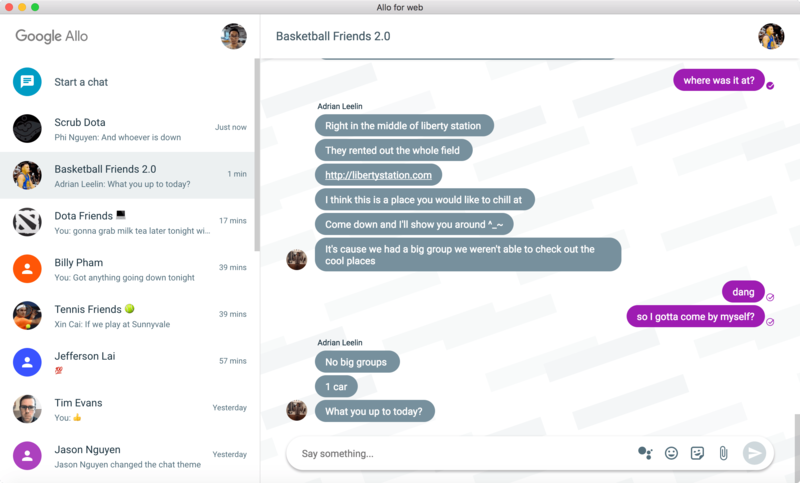 The Allo wrapper will use your operating system's built-in notification system, and you can just leave this running minimized instead of the entire Chrome browser. The wrapper doesn't have any pretty installer (at least on Windows), so you'll have to extract it to somewhere and run it from there. Pro tip: you can add it to your Windows startup items to make it launch automatically when you log in. You can download the wrapper for Windows and Mac at the source link below.